Most FCPX users know well that getting to grips with the Magnetic Timeline (Primary Storyline) takes some time and effort before one can unlock its full potential. What’s more, there is a myriad of users who have been accustomed to the layout and functionality of the good old FCP 7 who find the FCPX innovative editing workflow too odd and overwhelming, to say the least. Luckily, there’s a feature in the software reminiscent of the more conventional workflow that many novices are unaware of: the Secondary Timeline. As opposed to the Primary Storyline, this option allows you to edit your footage without automatically moving clips around and re-arranging them all the time. So, if you’re curious as to how you can get the most out of this particular workflow, Ryan Nangle goes over the Secondary Timeline functionality in the video below. To directly add clips from your Project Bin to the secondary timeline, select your clip or a portion of a clip. Rather than dragging the video into your timeline, you should instead press the Q button on your keyboard. This will automatically paste your selected clip above the Primary Timeline. Furthermore, if you’ve already got a piece of footage on the magnetic timeline that you’d like to move, select the clip in question, press the P key and then drag it up. Keep in mind that this particular method will not work if you have an audio track priorly attached to the video. Alternatively, you can also use a black generator and put the clips on top. Either way would work like a charm. 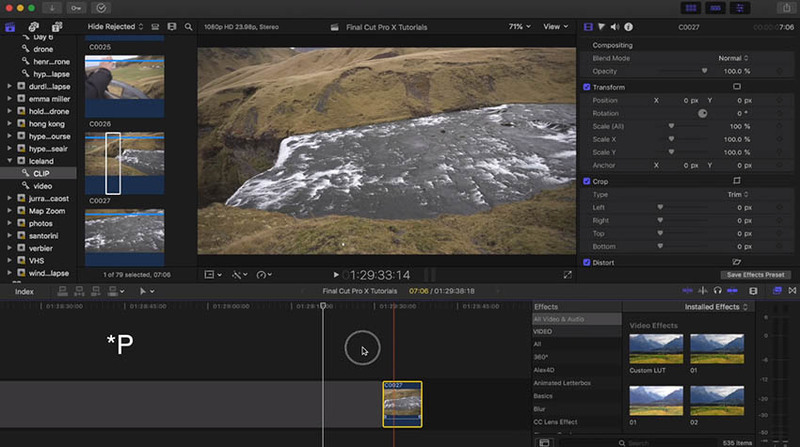 Even though the magnetic nature of the Primary Timeline may be useful for many, the Secondary Timeline is greatly beneficial to those who want somewhat of a Premiere Pro-like editing experience. Since the secondary timeline is not magnetic, the software won’t push clips side-by-side with each other (which is what the Primary Timeline does), thus making your video editing experience with the NLE much more pleasing and effective.